For over three years, the Veteran Staffing Network has been making in difference in the workforce of America as well as the United States Veteran community unlike any other organization before it. 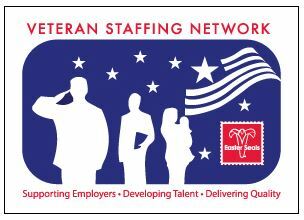 The Veteran Staffing Network provides meaningful and lasting careers provide temp-to-perm, contract, and direct-hire placements for Veterans. One of the core concepts of Veteran Staffing Network is not just employing Veterans, but equipping Veterans with the tools to find resources and occupations on their own and ensuring that they can proceed through the applying and interviewing process while selling themselves as the remarkable individual they are. Within the transportation industry, many job seekers are U.S. Veterans. Luckily, many hiring companies are incredibly welcoming to our men and women who have served. However, there still exists a communication gap that occurs when attempting to staff a company with a qualified Veterans and a lack of education from many employers on the benefits of hiring Veterans. David Muir, Senior Vice President of Veteran Staffing Network, spoke to Truck Driving Jobs about VSN’s goals and how to better help our Veterans who are seeking employment within the trucking community. 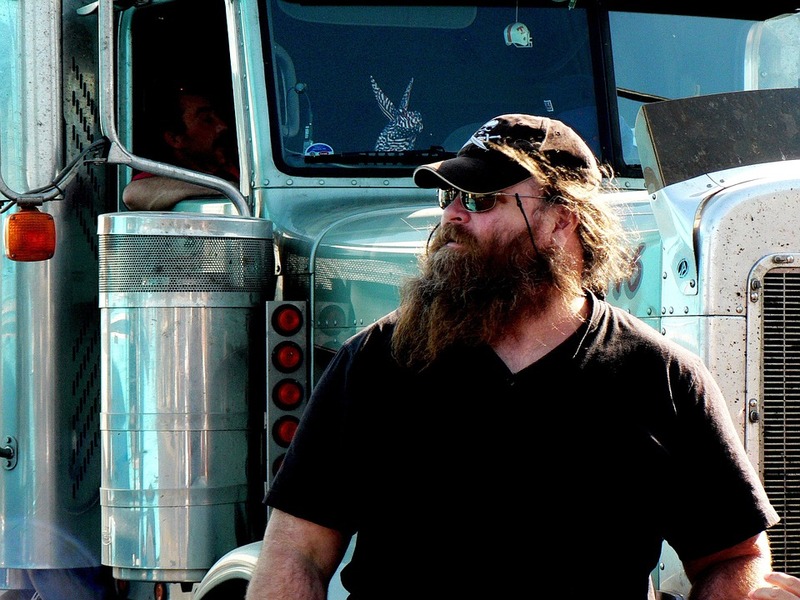 Truck Driving Jobs: Veteran Staffing Network has it in the name – they held find Veterans jobs. Can you briefly explain what Veterans Staffing Network does that differentiates itself from other staffing networks? DM: The Veteran Staffing Network is conceived as a realization that there are no programs in the history of ever that have been designed to be a self-sustaining solution for veteran unemployment issues. Every employment program throughout history has been funded either through government dollars or through philanthropy, and neither one of those is a sustainable model. Our primary mission at VSN is altruistic in nature. We want to teach these men and women the skill of job searching. We have a really robust curriculum around that. It’s 68 lessons, almost 200 learning objectives, everything from “What does job search mean” to “What do you want to be when you grow up?” to telling people they can’t have an email address that says, “MachineGunner48@yahoo.com” The whole idea really is to teach them how to go from job seeker who is crossing their fingers with a bad resume to going to job hunter – someone who understands who understands what he or she brings to the table, who can articulate that, and engage with employers that make sense. That all obviously costs money. What we do is that we take the job-ready men and women that we work with and we, for lack of a better term, “sell” them to industries in traditional staffing firm models. So, temp to hire, direct placement. The benefit you get there is that instead of those fees, padding somebody’s pocket for profit – not that there’s anything wrong with profit – the money goes back in and pays for career coaches that we have on the ground. Every time a company works with us, what they’re actually doing is helping people get jobs. If we’ve got somebody working on a contract, the difference between what that guy makes and what we bill the client pays for about a third of the annual salary of one of our career coaches who helps between 115 – 200 veterans a year find a job. That’s the truly amazing thing about the Veteran Staffing Network. TDJ: How is current state of unemployment looking like for veterans? Are we seeing a positive trend in those figures as far as more positions filled? DM: It depends on who you ask. If you ask a politician, they’ll tell you that things are going great, but it’s also an election year. The sad reality is, although the veteran unemployment numbers have come down drastically in the past few years, what you’re still seeing is a number of very talented men and women who are underemployed. This Because of the fact that they’ve just taken any job that needed position filled versus something that provided a meaningful career path for them. A piece of that is tied that the fact that veterans don’t understand all of the different skill sets that they bring, they don’t know how to communicate all of their accomplishments in their career in a manner that a civilian employer would be able to understand. Another piece of it is that there are so many civilian marketplaces that don’t have the adequate time to train somebody, and they don’t understand the value somebody brings from an employer standpoint. It’s a big cultural difference. The military hires for ability and trains for the job, where the civilian marketplace doesn’t have time to train. They need you to hit the ground running because training costs money. There are many openings in the transportation industry for Veterans. Many companies openly advertise they’re ready to take veterans on – even on VSN there are multiple listings for truck driving positions. Since the transportation industry is a specialized industry, do you think that veterans have more aptitude for these positions than a civilian might? DM: Yes and no – I think when it comes to the transportation industry specifically, there is a very unique set of skills for someone to be a reliable transportation person. You need accountability, you need timeliness, you need safety, you need the ability to read a map and to work with a certain level of technology. It goes a lot deeper than what people might think. There are inherent skills in the military experience that lend themselves those levels of responsibility and knowledge. These inherent skills aren’t necessarily in the civilian workforce. The reality is that leadership, accountability, being able to think on your feet – all of that is hammered into service members really from day one. I think that when you look at the military experience of personnel it better prepares someone for a more independent and successful careers in the transportation business. In addition to certain skills that one might learn in the service, would you suggest that Veterans also have a greater level of work ethic and dedication that has been noted when hiring personnel? DM: Again, broad paintbrush here, I think you find a greater commitment and greater work ethic in the military community than you find in the civilian community. Firstly, because it’s hammered into us and secondly because it takes a special type of person to say, “I’ll do it, I’ll volunteer.” Less than one percent of the working population in America has worn a uniform, we know that. There’s some unique personality traits that come along with those people that are willing to volunteer and take the lead. I think work ethic is just one of a number of different skills that come as kind of a given with someone who has served. Whether or not the civilian workplace understands that, it just depends. If someone comes from a military family, for example, they still have a level of perspective. If there’s a civilian who has gone through the effort of educating themselves about veteran works traits, obviously they will have some elevated level of understanding. Someone who has been disconnected from the military – they will not. This means that it’s going to be extra work valuing job candidates equally. If I’m an employer and I’m looking at a potential applicant who is a civilian who has exposure to the civilian workforce and networks in the civilian space versus a military worker who has a resume full of jargon and may be a little rigid, it’s extra effort to understand why that military person has value. Therefore employers will often default with the civilian employee. Is there anything you can think of that hiring companies in the transportation industry can do in order to help veterans find more occupation opportunities? DM: The short answer is yes – educate yourself. But again, that takes effort, people might think “why should I take time to educate myself about veterans to learn why I should hire them, they should be telling me why I should hire them.” Ultimately there’s some level of truth to that, businesses will continue as usual no matter what entity is telling them to work harder to hire more veterans. It comes down to the individual job seeker to communicate their value. At the management level it comes down to one’s ability to hire the best candidate for the job to create the best return on the investment for the business. Even the most inexpensive worker tends to cost more than a new car in two years. If you just looks at dollars and cents, a veteran candidate who is hired into the right type of job for his or her skill set statistically stays in that position with that company 30% longer than their civilian counterpart. Additionally, they’re more efficient in the day to day work environment than their civilian counterpart. So if I’m getting a better work productivity and that person is staying with me longer, educating myself on the return on investment I get on hiring a veteran candidate properly – it just makes good business sense. For a good company to become veteran-friendly takes three things. It takes an executive sponsor, someone who believes it and has the influence and organization to drive change. It also takes a communication strategy for change management to drive information vertically through the organization but also horizontally through the hiring managers. Say, hypothetically, I need to hire 18 drivers for my fleet. I go to my recruiter and give them my job description and ask them to find me 35 candidates that match this. As a hiring manager, I have to give my recruiter to blessing to take risks. Recruiters have to be able to have the clearance to interview somebody that looks kind of different from the civilian workforce and determine that they are worth talking to for an interview – otherwise, you’re not going to see veterans come through that door. Finally, it takes a mindset that promotes healthy training and communication. Veterans are subject to training from the day the enter the military to the day they leave. It takes an organization that is willing to commit to veterans who are coming in with a core group of skills and teach them the rest, and one that has a clear path to career succession. If veterans can come into a formalized training program with a clear path, a company is likely to maintain that worker for years. Some of these folks from the military have the same employer for 20-30 years. They like job stability. There is nothing more valuable to a company than the intellectual property that a long-term employee brings.